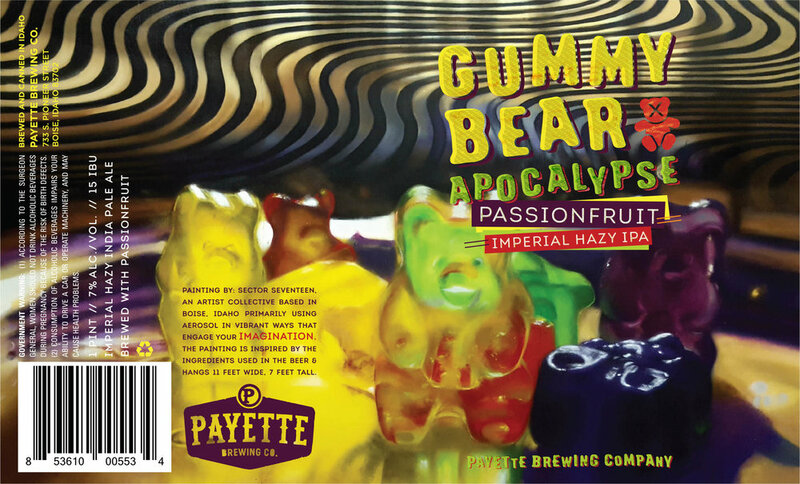 Gummy Bear Apocalypse Passionfruit Imperial Hazy IPA is the epitome of a fruit explosion loaded with mind-blowing characteristics strong enough to take down a tribe of gummy bears. Upon taking a sip, experience an eruption of harmonious flavors. The addition of passionfruit with Citra, Mosaic and Vic Secret hops create a sweet, exotic and deliciously tropical brew with a slightly tart flavor. Bold, hazy and a fruit-forward citrus pungency that will make your mouth water. 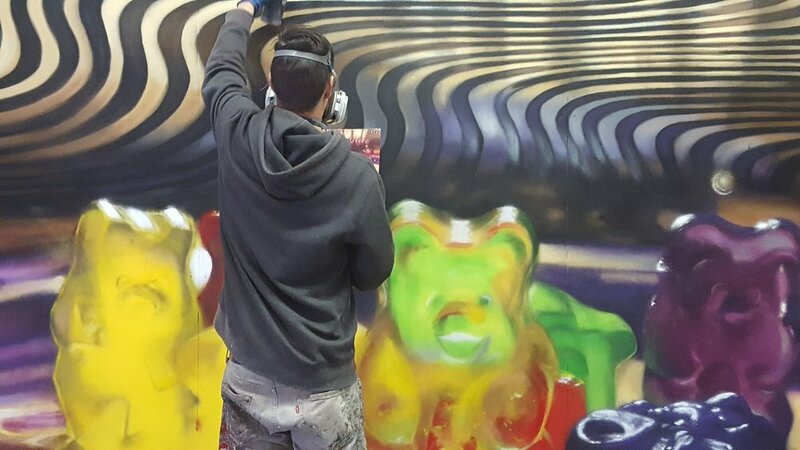 Painting By: Sector Seventeen, an artist collective based in Boise, Idaho primarily using aerosol in vibrant ways that engage your IMAGINATION. 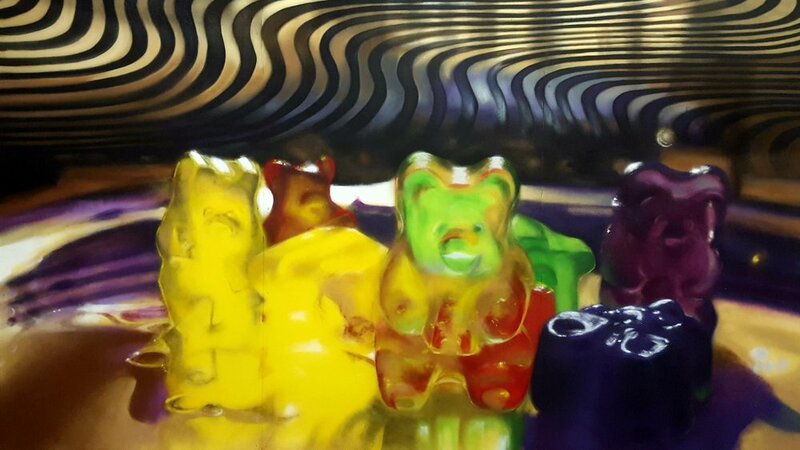 The painting is inspired by the ingredients used in the beer and hangs 11 feet wide, 7 feet tall. Learn more about the artists HERE. After the painting was complete, Payette Brewing Graphic Designer worked her typographic magic to make the label complete. A fun collaboration of creative minds! The Sector Seventeen painting is now hung inside the Payette Brewing facility. Come see it!